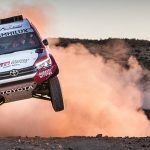 A clean stage for Toyota Gazoo Racing SA’s Giniel de Villiers and navigator Dirk von Zitzewitz saw the pair not only post the second-fastest time on Stage 5 of the Dakar Series: China Rally, but also leapfrog into the overall lead of the event. 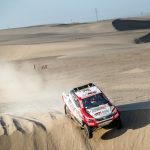 The stage, which was reduced from 317 km to 255 km, saw De Villiers / Von Zitzewitz finish just 25 seconds behind Wei Han (China), but enough to end the day 01:41 ahead in the overall standings. 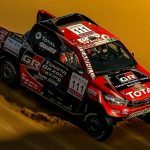 The Chinese #121 Aorigele, winner of 3 stages wanted to attack but he got stuck in his Nissan pickup and dropped a lot of time. He finally finished 4th at +9min 10sec. With today’s result De Villiers and his co-driver Dirk Von Zitzewitz jump on top of the general standing. They lead with 1min 41sec on #117 Zi Yungang from Shanxi Yunxiang Team, and +13min 50 sec on #103 Han Wei. The local hero Aorigele is now 4th, but quite behind (15m 17sec). #109 Chen Feng closes the top 5. “Yesterday our gearbox was broken so we wasted time” said stage winner Han Wei, “we changed it because there were 2 long stages left. We pushed hard today to take the win and have a good result, if not we have no other chances, so we decided to catch up as much as we can”. “We took the start this morning determined to close the gap and I’m happy that we made it, although it would have been nice to win the stage. 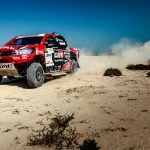 It was a very demanding day because there were many dune crossings which are so challenging for the body and also tricky in terms of navigation. With Dirk, my co-driver, we did a good job. 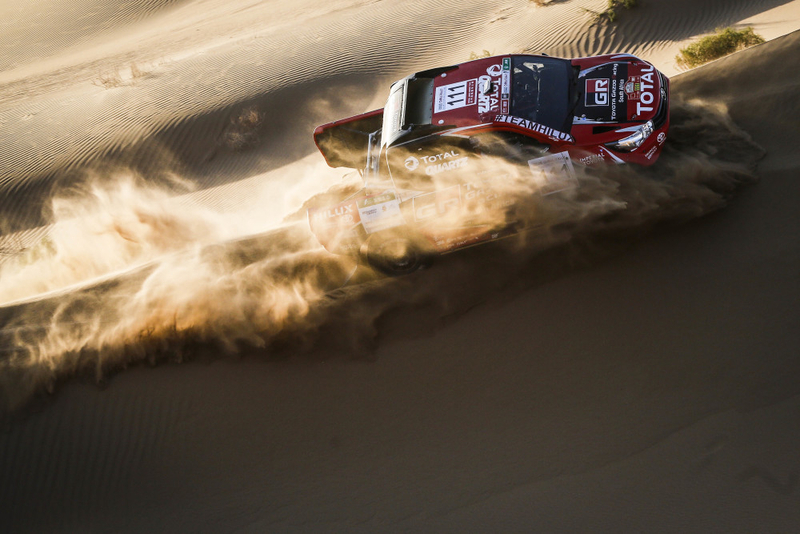 It was important to recover position today with only one long stage remaining”, said De Villiers. 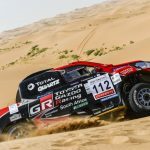 The penultimate stage of the Dakar Series: Rally China will see crews tackle a 328 km-long test comprising dunes near the start, with harder surfaces following towards the end. 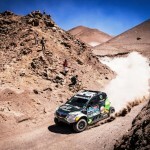 The event ends with a short, 28 km stage on September 30th.